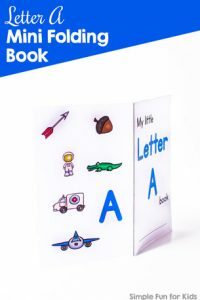 Today, I have a new type of printable for you that I haven’t done before: Letter A Connect the Dots! It includes the “usual” connect numbers 1 through X version plus two that connect letter/number combinations A1 through A16. 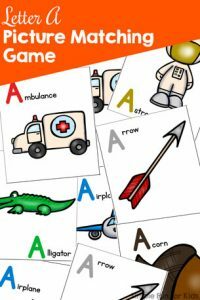 One of the latter two versions is a more challenging one where students need to skip many other letter/number combinations and find and only focus on A1 through A16. Marker, pen, pencil, or similar. 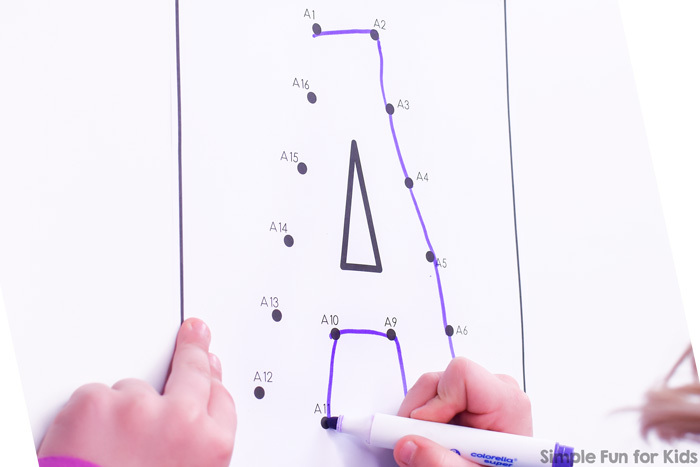 The file includes three different versions of connect the dots worksheets that focus on the letter A. 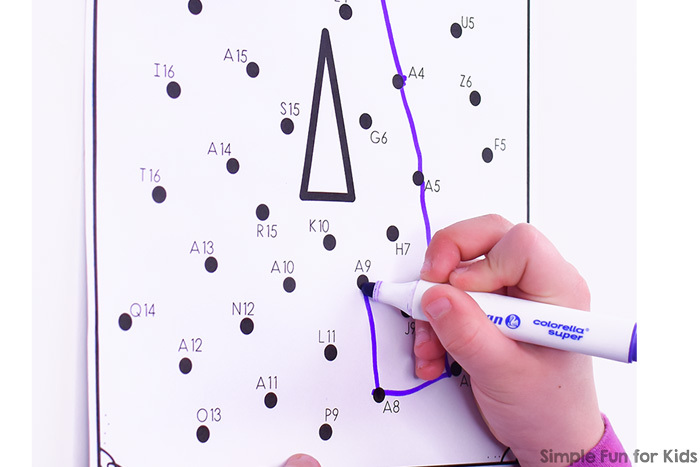 The first and most basic version has dots numbered from 1 through 16. Simply connect the numbers in numerical order to reveal the outline of a capital letter A. The second version has the letter A added to each dot to reinforce letter recognition. Again, when you connect A1 through A16, you will outline the capital letter A. The third and most advanced version is a challenge for more advanced learners. In this one, you connect the dots from A1 through A 16 but there are also many other dots in the picture (with random letters and numbers) that need to be skipped. I’ve included an answer key for the third version only. This version is not as easily checked at a glance as the two more basic ones. However, if in doubt, the resulting image of a capital letter A is the same in each version. 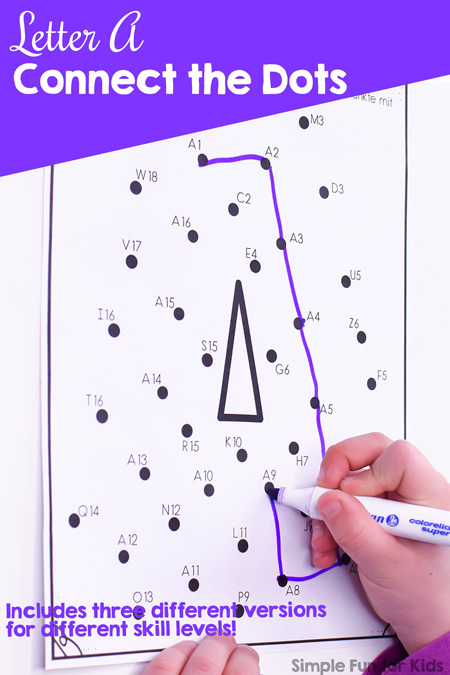 This printable doesn’t require any preparation, just print and connect the dots! 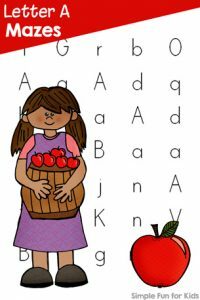 Are your kids working on learning the alphabet? 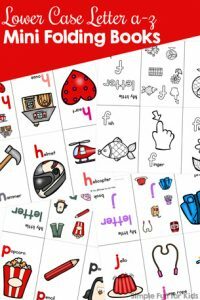 Hang up these Alphabet Posters A-Z for reference and as conversation starters! Great at home and for the classroom. Click on the image for more info! 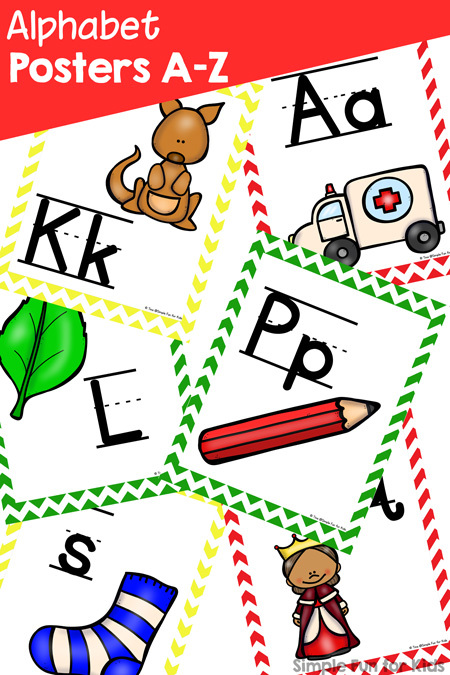 Are you looking for more letter A activities? Here are a few I’ve picked out for you!